The exclamation point. Lately I’m trying to avoid it, or cut down gradually the way you do when you can’t go cold turkey on chocolate or that late afternoon cup of coffee. Like coffee, this bit of punctuation has not always been part of my repertoire. I simply avoided them, thinking they belonged in the category of the circles or hearts young girls used to dot the i in their handwritten signature. That was then. Slowly I began ending sentences with undue excitement. It crept into emails. Into my books. In more informal settings, I might even explode with a burst of three!!! Occasionally I’d throw in a question mark to show mixed wonderment--!?! So why had the exclamation point parked in my punctuation stable, I wondered. Is it part of the emoticon boom that comes with email? I’ve never slapped a J into a note to friends or close business associates. I’ve never even considered the more sedate form of :). Maybe throwing in a few !!! was my way of joining the crowd. Or maybe--it occurred to me—it’s not the times, but that I began to write for children. I really hope not, though I’m pretty sure I didn’t use them in my articles for Harper’s Bazaar, National Geographic Traveler or Discovery. I hate the idea that it could be the writing-for-kids theory. Did I really think they really need a mark to show them when to be excited? Hope not. It feels like talking down to kids in a way. Or worse, a crutch for bad writing. I will continue to monitor my use of exclamation points carefully, but I am curious about what others think of this matter. Do you find yourselves plastering them into your sentences more than before? And if so, why? Guilty! Or should I say, guilty. The !!! flow when I write short blog responses, but I do try to go back and edit them out. 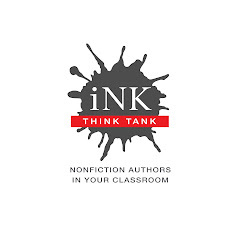 When I was just starting out writing for one of Scholastic's kids' magazines, my editor called me on using too many exclamation points and said it was the sign of a lazy or inexperienced writer. I've watched out for them ever since. I'm seeing lots of them on Twitter—people seem to think using them injects extra meaning into their short missives. But I applaud you for stomping out their overuse. Oh, and my dad calls me Susie, too. Lately, I've been using !!! all the time. And my husband - my first editor - takes them out. I've also used !?! but only with friends cause I'm not really sure what it means. Perhaps this is some strange punctuation virus going around amongst nonfiction writers. Hopefully your blog, Susan, will stop it. My dad called me Susie too [and sometimes Sue]. An editor at my college paper said we were allowed to use one per year. 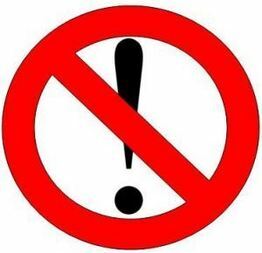 I'm sort of a stoic person my nature so I was never a big fan of exclamation points, but after I heard her rule I have mostly stuck to it, for all of my writing in any context - though I'm not sure I use my allotted exclamation point each year. Words and punctuation are a writer's tools. An exclamation point is a specialized hammer. While it should not be used indiscriminately, it can and should be used when the work requires its effect. Is what you are attaching it to an exclamation? If so, then ! is proper. If you find its overuse, are you simply making too many exclamations? You wouldn't think not to use a question mark at the end of a written question, would you? As writers we submit our words for approval; as written. I'm not about to leave anything out that helps to convey my message. and BTW, Kids LOVE exclamation points!!! I don't use multiple exclamation marks, but I have a graduate student (otherwise a wonderful person and a great student) who ends email with "THANK YOU!!!!!!!" more or less regardless of what preceded. For example, if I ask whether we can meet at a different time than we'd planned, I get a reply with this enthusiastic ending. Oddly, she doesn't do this when she writes in Spanish, her first language. My Spanish isn't good enough to understand many nuances, but this I'd notice. I've wondered whether it's because "¡¡¡¡¡Gracias!!!!!" is so much more complicated - or maybe that's just how it feels to a gringo speaking Spanglish. I have to constantly monitor my own use of the exclamation point. I do, however, allow myself to use them in emails because I don't take the time to craft wonderful sentences that convey emotion the way I do in my writing. Email (and Twitter)is a quick "bang off" form of communication where tone is often misunderstood, so I allow emoticons and exclamations points to do some of the heavy lifting. I agree that they should be used sparingly in published texts. Thank you all, especially my fellow former "Susies," for your comments. Rehctaw, I now have to wonder if I am too exclamatory, but, overall, that might be better writing than trying to rely on punctuation to signal to readers that it is time to be excited. And Gordon,I applaud your ability to put the points upside down.